Given the post-truth, post-justice morass we’re living in today, wouldn’t it feel good to go back to a world where those things mattered, if only for a couple of hours? A bright, cartoonish world, where the good guys always triumph and the press is celebrated instead of condemned? A simpler world, where all you need is a pair of glasses to completely transform your identity? 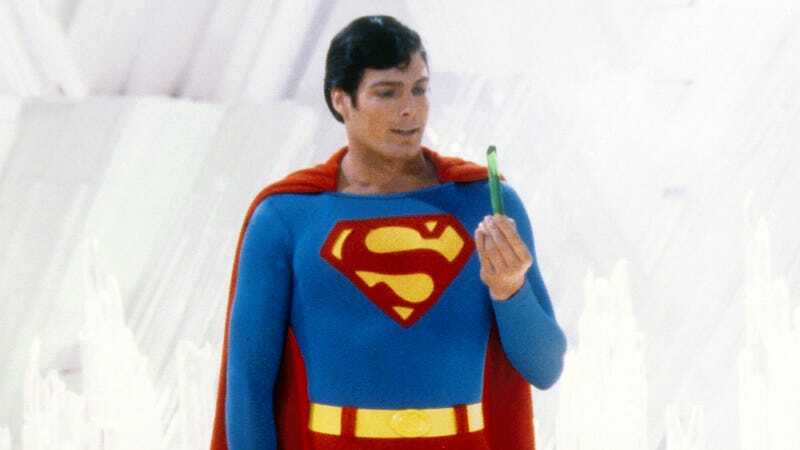 The good news is that you can, as Fathom Events brings original big-budget superhero movie Superman (1978) back to theaters for its 40th anniversary. Those are set to take place on Sunday, November 25, Tuesday, November 27, and Monday, December 3, and we’ve got 10 pairs of tickets good for any of the three screenings, at the theater of your choice. (You can find a full list of theaters and showtimes at this link.) All you have to do to enter is email us at avcontests@theonion.com by 5 p.m. CT today, Tuesday, November 20, with the subject line “mild-mannered reporter” and the following information: Your full name, preferred email, and a first and second choice for the time, date, and theater where you’d like to see the film. We’ll pull winners and notify them by email late this afternoon.